On our last full day of our week in Ireland, Chris and I drove from Donegal and crossed the border into Northern Ireland since I simply couldn’t leave the Emerald Isle without seeing Giant’s Causeway. But before we explored the basalt columns, guess where we went first? 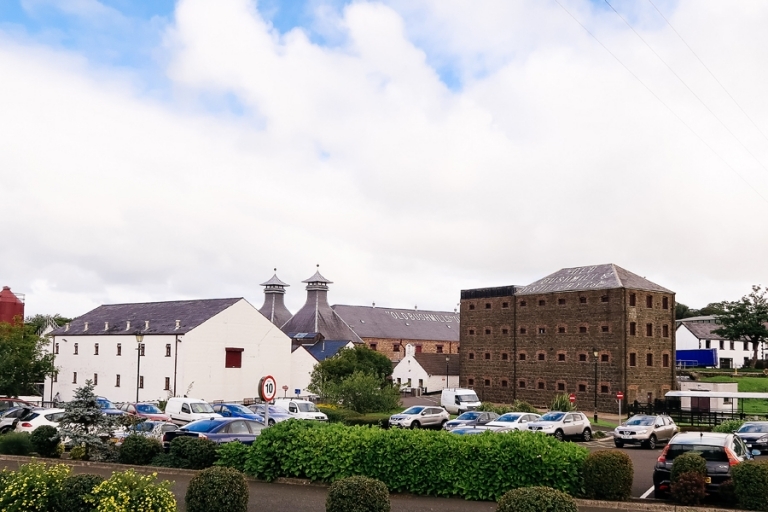 The Old Bushmills Distillery! We didn’t take a tour, but we did pop in for a really nice personalized tasting and we browsed the gift shop, of course. 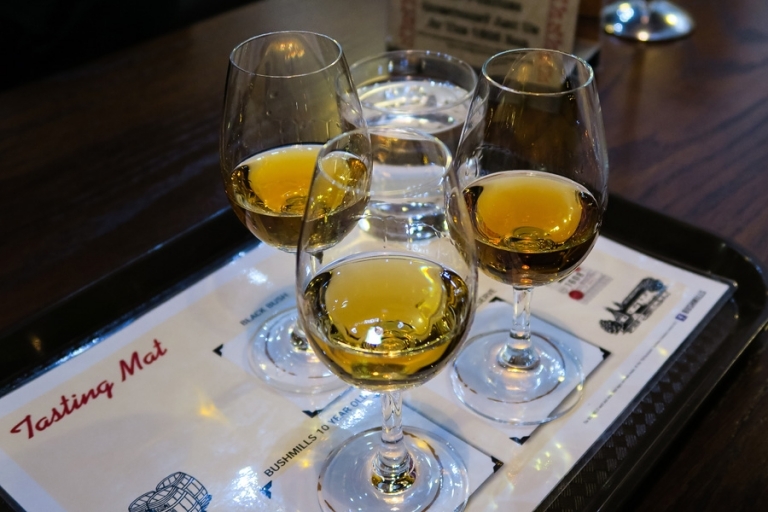 The tasting experience included three whiskeys and a quick but detailed lesson and overview of the whiskeys while we sat in a comfy lounge area of the restaurant/bar. 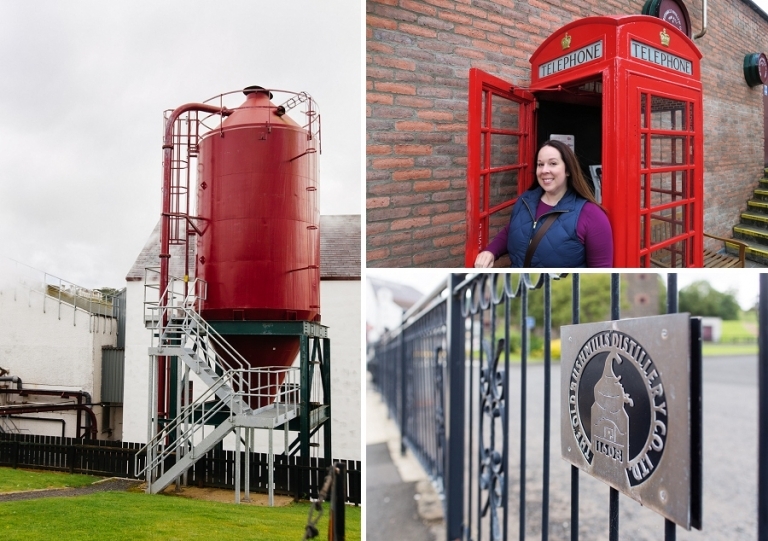 We ate a light lunch at Bushmills (they have soup and sandwiches, etc.) and then headed over to Giant’s Causeway, a UNESCO World Heritage Site that I’ve been wanting to visit ever since my parents went there a few years ago and said I simply have to see it for myself. We saw similar volcanic rock formations in Iceland last year so I was excited to see how this site compared. At £9 each for admission, the first difference was certainly the price since visiting Reynisfjara beach in Iceland is free, but we really enjoyed the Giant’s Causeway so for us it was worth it. There is a substantial parking lot and a nice visitors center with facilities and a great gift shop offering local art selections. The hexagonal columns fit together like puzzle pieces just like the columns on Reynisfjara, but the gradual slope of the Giant’s Causeway is easier to climb on, like a big staircase. 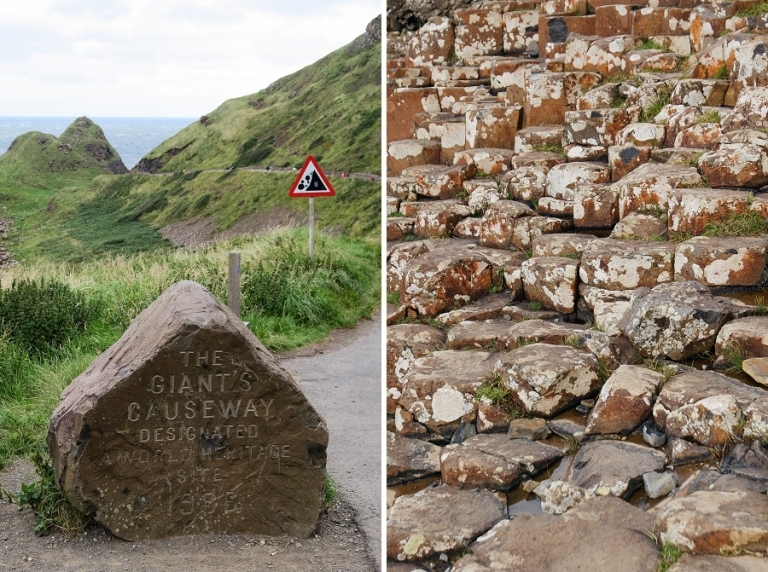 I also love the local legend behind this phenomenon, telling the tale of giants Finn McCool and Benandonner stomping and fighting along the Antrim coast. The weather cooperated for us, although it was crazy windy and my hair was well-restyled after the walk to the columns (it’s about 1.6 miles round trip). We climbed around with quite a few other people, but it was pretty easy to find spots to ourselves for exploring or for taking photos, including one of my cute green shoes. Note that I brought the green shoes with me for the photo only; I don’t recommend climbing on the rocks in flats! After exploring the Giant’s Causeway, we headed down the road about fifteen minutes away to the Carrick-A-Rede rope bridge. I kept seeing this bridge in travel articles with titles like, “World’s Most Insane Bridges.” I love a little adrenaline rush and we were already going to be nearby, so I figured we needed to check this thing out. The walk to the bridge from the ticket kiosk is a little under a mile, the admission fee is £5.90 each, and the stunning postcard-worthy views are priceless. The bridge opens weather permitting, but despite a high wind warning that day and a very brief rain shower, we were able go across and back. I kept wondering what would happen if the weather turned bad after we crossed one way. Visiting both sites was a lot to do in one day, but it can be done! Wear comfortable shoes and be prepared for sudden changes in the weather. I completely underestimated the amount of time we would take at each spot though, and we missed out on seeing the Dark Hedges as planned. 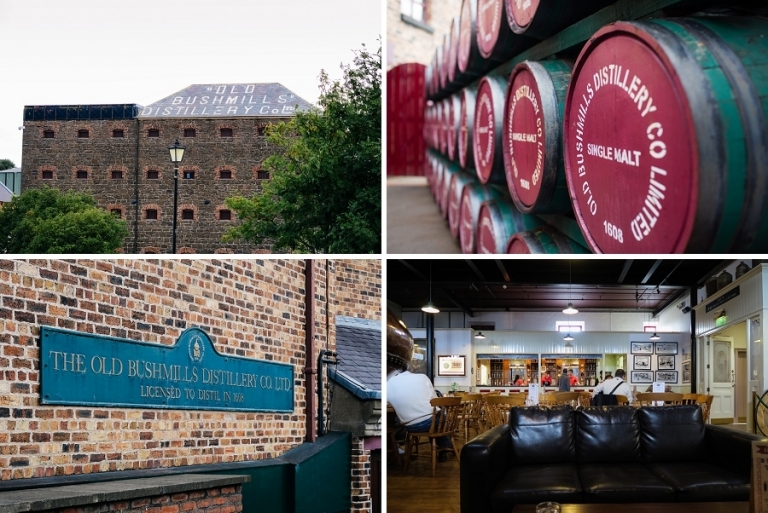 We also didn’t end up having any time to spend in Belfast – I tried to squeeze in a Black Taxi Tour, but it was apparently too late in the day. The guy I spoke to on the phone let me know that the tour goes to “some dodgy places” (his words), and he wouldn’t recommend going in the evening even if it was still a bit light out. Noted! So we ate dinner at a little pizza joint after finding the wait times too long at other restaurants, and we put the Dark Hedges and Belfast on our list for next time.